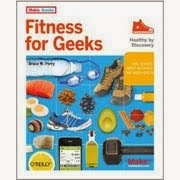 Fitness For Geeks: KT Tape: Does It Work, Or Is It A Placebo? KT Tape: Does It Work, Or Is It A Placebo? Like many, I first noticed the kinesiology or "kinesio" tape on the various limbs of olympic athletes during the 2012 London games. The "KT Tape" is almost picturesque, like dabs of paint on athletic forms. The product has definitely taken the pro to everyday banged-up athlete by storm. But is this just another pretty gimmick? We're used to those in the fitness and nutrition world. Does KT really work? I know what doesn't always work, and that's my right knee, victim of a torn MCL from soccer years ago and much wear and tear. Knees don't "heal"; it'll never really be the same. Still, I do everything on it, weightlifting, hiking, mountainbiking, light soccer (or futbal! ), skiing…So I decided to try the tape on the knee, to see if it worked in place of a bulky old neoprene knee pad. I put a strip over the old MCL and another across the knee. Then I went off to play a little soccer and the next morning, lift weights. I was pleasantly surprised with the results. No swelling, pain, or anything, and I have even kept it on. It seems to be a very subtle, almost weightless form of support. It's very easy to cut up into strips and apply yourself, despite the creative forms bordering on fashion statements. It turns out that the tape and technique was developed in Japan during the 1980s. The specific issue I used KT Tape for is not a muscle or tendon tear, but a dysfunctional joint that is easily irritated due to loss of cartilage. So maybe Kinesio Taping isn't optimally designed for my knee, leading me to think that it feels great due to the many wonders of the Placebo Effect. Or, the strong belief that the measures you are taking will heal you. My issue seems to fall into the latter category, so I'm sticking to KT Tape (no pun intended) for now. It seems like a keeper.